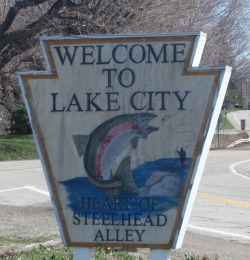 Welcome to A Day Away Fishing Adventures located in the "Heart of Steel head Alley" Lake City , Pennsylvania . Thank you for visiting our website . While you're here please do not forget to check out our adventure blog . I update this on occasion so you can see what we're catching . Double click link below . 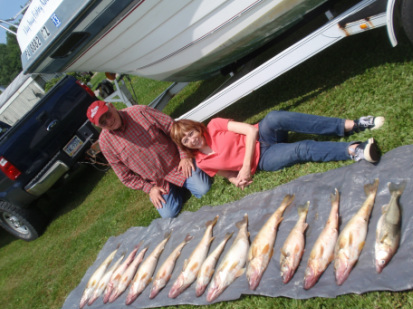 * We are a fully insured and licensed Lake Erie fishing charter specializing in Lake Erie Walleye / Perch fishing charters. These are available in both in Eastern Ohio and Pennsylvania . 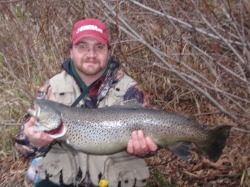 * Guided stream fishing adventures on Lake Erie tributary streams in search of Trophy Steel head and Brown trout. 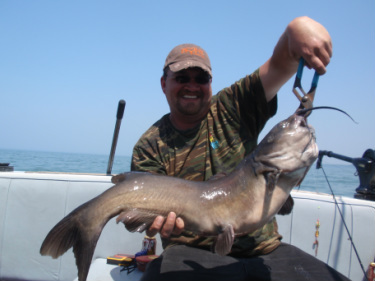 Offered in all eastern Ohio and Pennsylvania tributaries of Lake Erie. * Fly fishing instruction and guided Allegheny River float trips in Pennsylvania . * We also tie local fly patterns that are custom tuned to consistently deceive trophy steel head and trout. These flies are available at our online store ( top right tab on header ). Our unique products are testament to our combined 36 years of "hands on" tributary fishing experience tied for you by steelheaders for steelheaders . To purchase go to my online store link is http://www.adayawayfishingadventures.com/online-store.html a credit card can be used here through paypal or you may contact me personally to pay by check or order a custom order for whatever patterns you require ( 724-272-1479 ) is my cell . * We are proud to be a part of the few local year round resident guides available to you at this time and appreciate your interest in this wonderful sport ! Please check out our adventure blog under the " adventures drop down box " on the front header top of this page . 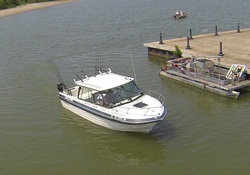 It will tell you what we've been up too lately and show recent pics of our catches . If you have any questions or require special assistance for your trip please do not hesitate to contact me. 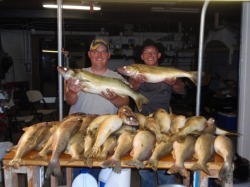 Below you will find an episode of rush outdoors we were featured in filmed in July of 2013 .